One of the most persistent casting rumors surrounding Star Wars: Episode VII has been that Sherlock star Benedict Cumberbatch will play some role in the film. This notion first began circulating back in September of last year. Though he’s denied any involvement, given that whole, “I’m not Khan” thing from Star Trek Into Darkness, people have been reluctant to let the matter drop. So again, the actor has gone ahead and stated explicitly that he will not appear in Episode VII. And because he was in mood to take care of business, he also set the record straight on his participation in Doctor Who. Reports were that Cumberbatch would have a very small role in director J.J. Abrams’ new foray into that galaxy far, far away, but that the part would grow and expand in Episode VIII and Episode IX. And while he very well may have talked to Abrams and the folks at Disney and Lucasfilm at some point, it sounds like so have half of the working actors in Hollywood. According to reports, J.J. Abrams and company have already begun filming their return to George Lucas’ galaxy far, far away. In addition to that, we recently learned that they also plan to revisit at least one world that fans will be familiar with. While we knew that the production is building an “extensive recreation” of Tatooine, we didn’t know where this was all going down. That, however, has all changed now, as we received word that Abu Dhabi will serve as a stand-in for the barren, desolate planet. Star Wars: Episode VII news has been coming fast and furious lately. Production has reportedly already kicked off, though we don’t have any specifics about that, and while the cast is mostly in place, there are still key roles left to fill. Now we’re hearing about a potential casting decision that could occupy one of those vacancies. The Hollywood Reporter reports that the production is apparently looking to add another cast member, one that appears to be part of the new guard. Disney head Alan Horn recently said that most of the cast is in place, but that there are still spaces available, and Abrams’ pal Dominic Monaghan recently said that the production plans on using largely unknown actors. Both of these statements play into the reports that British actress Maisie Richardson-Sellers may be up for a major role. So far this week we’ve learned that Star Wars: Episode VII has actually started filming, that the cast is mostly in place, and though we don’t know who a majority of the actors are, we learned that Peter Mayhew, better known as Chewbacca, will be along for the ride. While that’s great, knowing that we’ll get to spend some quality time with one of our old favorites, don’t expect to see everyone we know and love. 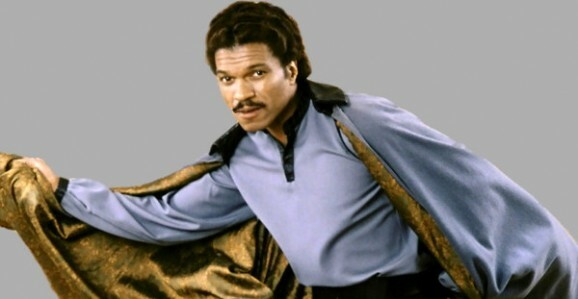 Reports are circulating that Lando Calrissian, played with an unbelievable amount of space swagger by Billy Dee Williams, will not return to that far away galaxy. The 77-year-old former spokesman for Colt Malt Liquor has been taking turns around the dance floor on ABC’s hit competition show Dancing With the Stars—he recently pulled out due to a chronic back problem—and when TMZ caught up with him, they naturally broached the subject of Episode VII. Williams’ response to these inquiries was a simple, “I think a lot of people would love to see Lando come back.” We would, Billy Dee, we would. And if you watched him dance, you noticed that, while he may not be as mobile as he once was, he’s still in pretty good shape and still has some moves, and more charm and charisma than you know what to do with. Well, we still don’t know who any of the new additions will be when J.J. Abrams, Disney, and Lucasfilm finally pull the cover off of Star Wars: Episode VII, but at least one familiar face will be there. 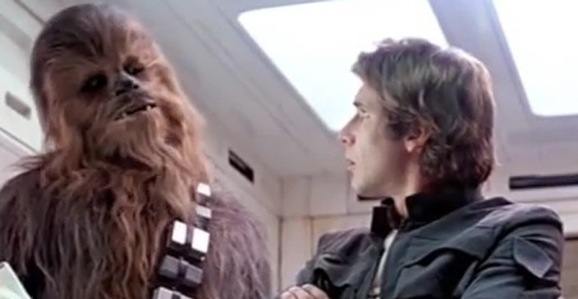 Peter Mayhew, who plays everyone’s favorite Wookie, Chewbacca, will be back, presumably at the controls of the Millennium Falcon and as ornery as ever. Maybe he’s become even crankier with age; that could be fun. According to The Hollywood Reporter’s sources, Mayhew joins the other confirmed classic cast member that we know about, R2-D2. 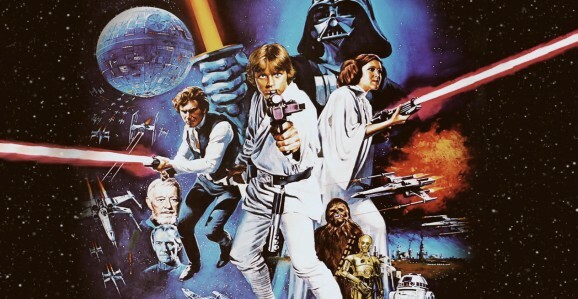 Most of us assume that Mark Hamill, Carrie Fisher, and Harrison Ford will all be back as Luke Skywalker, Princess Leia, and Han Solo, respectively, but so far there’s nothing concrete on that front. When Abrams and Lawrence Kasdan took over the screenwriting duties from Michael Arndt (Toy Story 3), reports were that their story brought the original big three back into the fold, while the earlier drafts focused more on a younger generation of new-jack kids. Neither the fact that J.J. Abrams is keeping secrets, nor the fact that Disney is playing Star Wars: Episode VII close to the vest, should be surprising. That’s standard operating procedure on both fronts. What is surprising, if these latest reports are in fact true, is how well, in today’s hyperaware landscape, they were able to pull it off. Apparently production has already started on the return to that far away galaxy, and they are filming right now. The cast may not be finalized, but that isn’t going to stop them from putting images on film. We expected production to start soon—the Internet scuttlebutt has been saying May for the last few months—but in a recent interview with THR, Disney Studio Chairman Alan Horn let the news slip. While discussing the casting process, and how much, though not all, of the main pieces are in place, Horn said, in an offhand aside, “We’re actually shooting some of it now.” He didn’t say anything more than that, but that’s enough to get us all chattering.